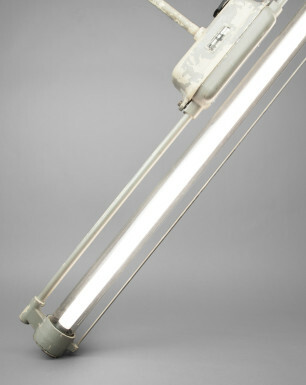 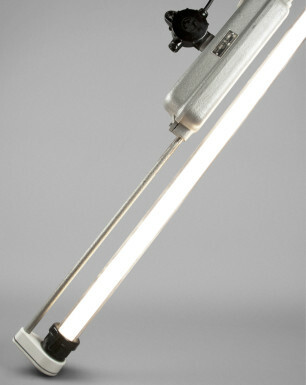 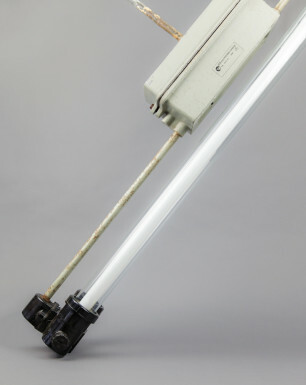 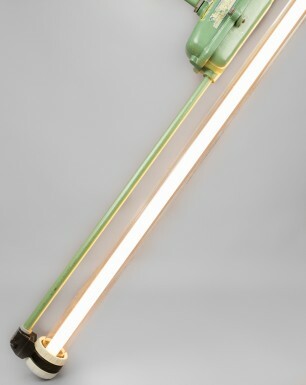 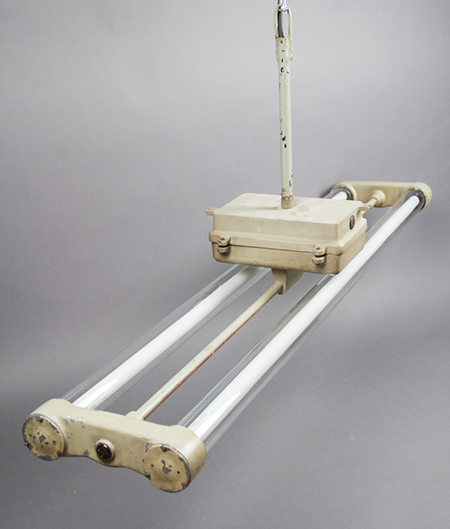 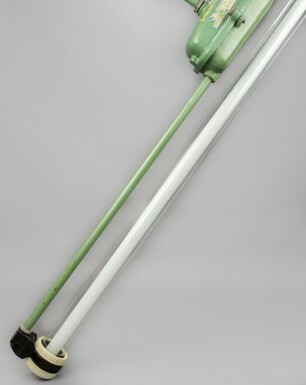 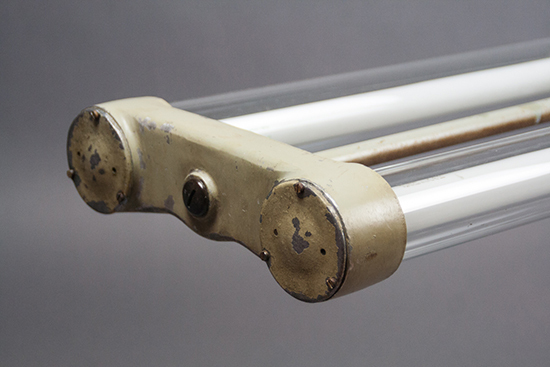 This very rare fluorescent light fixture with a double tube is a close relative of the ‘Gazelle’. 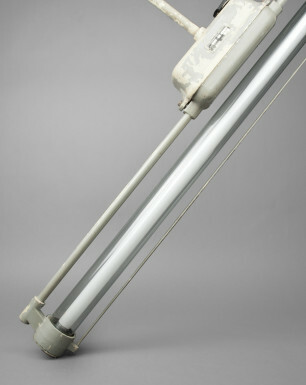 It was mainly used in light industrial areas in East Germany. 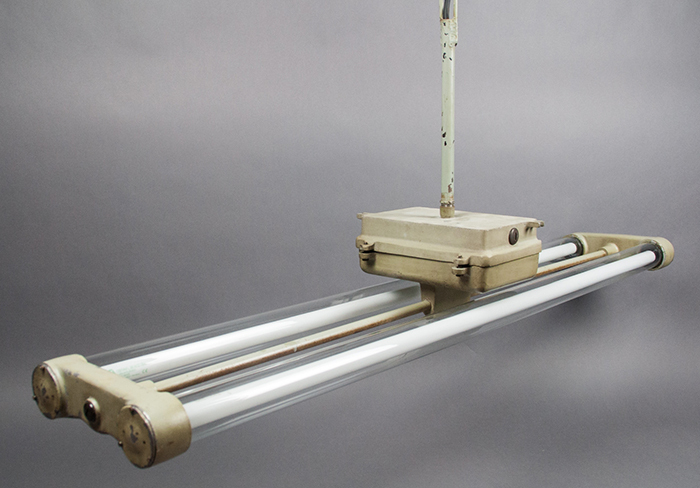 It originates from the beginning of the DDR era and is one of the oldest fluorescent fixtures in our collection. 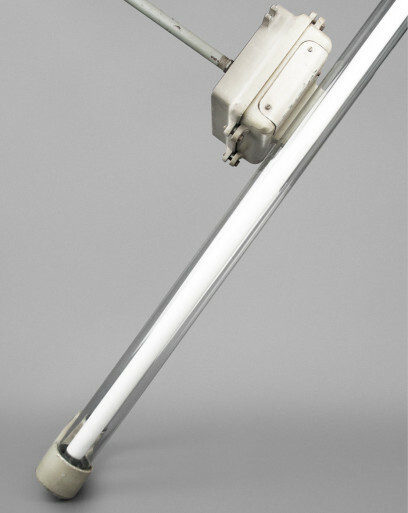 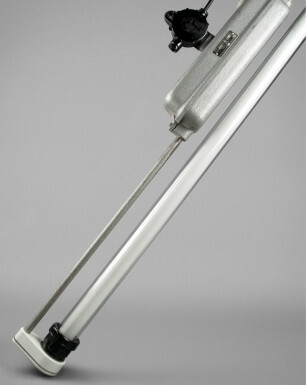 Although the fixture is designed to be hung in various ways, this version of the Moose has a aluminium pendulum connected to the square cast-aluminium housing. 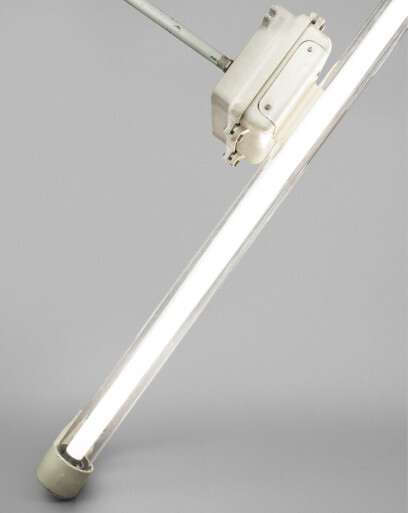 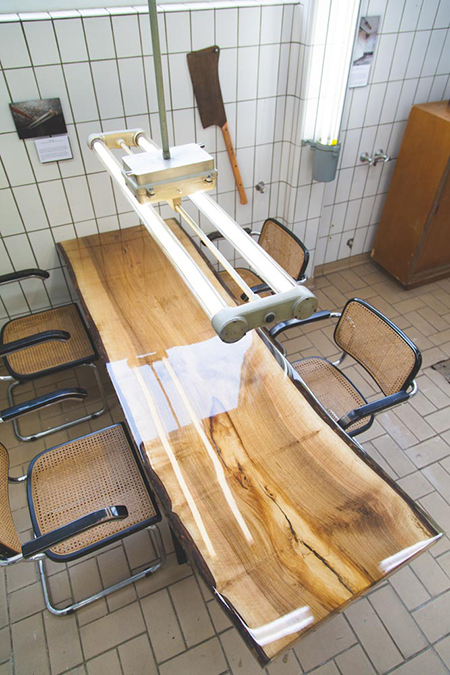 Similar to the ‘Red Deer’, the fixture holds a horizontal bar with aluminium ends holding two glass tubes that each contain a fluorescent light. 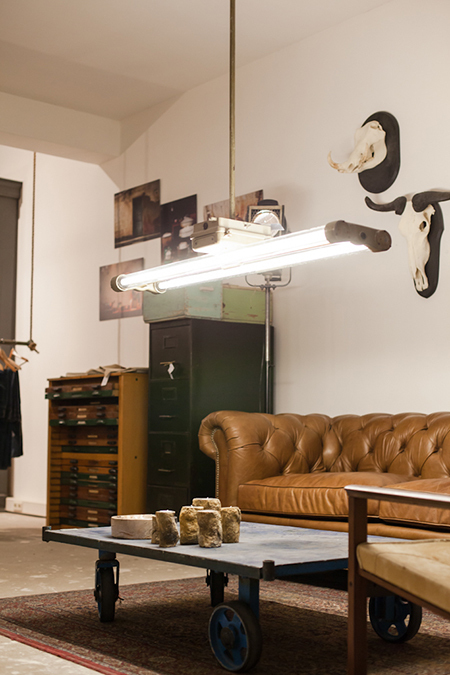 The lamp is salvaged from the premises of one of the oldest breweries in Berlin. 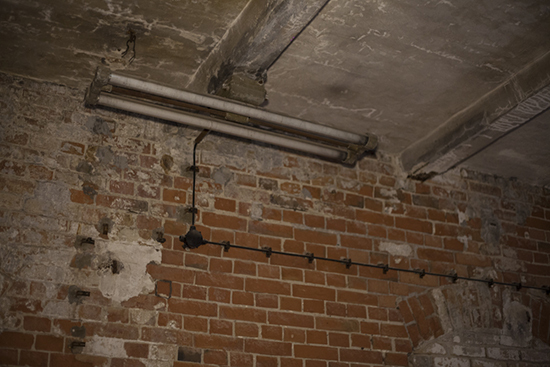 For over a hundred years it was the source of one of the city’s top beers. 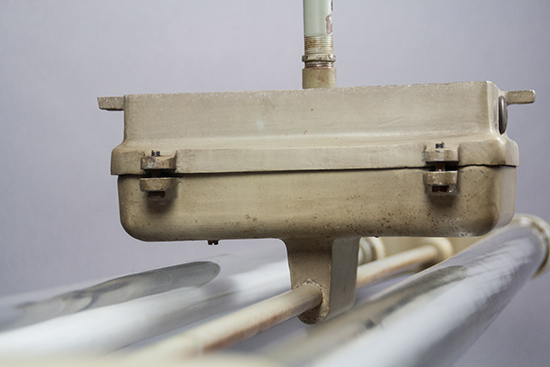 Unfortunately, like many state-owned companies, the brewery went bankrupt as a result of the German reunification in 1989. 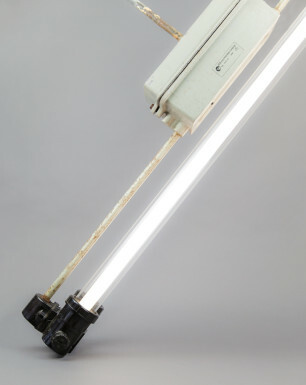 This lamp hung illuminated one of the storage areas at the brewery.